It's estimated that 45% of households in the UK have pets, with the population standing at around 54 million! We should appreciate our pets every day, but maybe just a little bit more during National Pet Month, which falls between April 1st and May 7th this year. It’s a time to really celebrate our animal friends: spread the word on responsible pet ownership, raise money for your favourite UK pet charity, or of course take your pet on holiday! More and more places are welcoming pets these days – we’ve put together a list of our favourites below, but for complete collections, read our dog-friendly B&Bs, cottages and hotels guides. Go on, show your pet some love! Little White Alice is a cluster of self-catering cottages, four stylish eco-retreats including a romantic hideaway and a family-friendly converted stone barn. The cottages are set in 29 acres of Cornish countryside, prime walking territory for you and your hound. You can tell the owners are dog-lovers, they provide towels, blankets and beds, plus the odd treat! Luxurious cedar-clad cabins and canvas lodges are the order of the day at Loose Reins, a scenic glamping spot in Dorset. Surrounded by beautiful countryside, you’re encouraged to get out on horseback and explore the Wessex Ridgeway. The added bonus? You can bring your dog – owners Marc and Michelle even supply beds, bowls, towels and treats for good measure. The Castle Hotel in Shropshire is one of the most dog-friendly hotels we know, not to mention a family-friendly country bolthole. Rooms are comfy, there's a restaurant serving flavoursome hearty food and a fabulous Mediterranean-style garden. Owners Henry and Rebecca not only encourage you to bring your pet but also provide a 'Dog Welcome Box' in the room that includes a feeding mat, food bowl, towel, lead, treats and even poo bags. What you have here is a small but perfectly formed dog-friendly B&B, a listed 18th-century cornmill in North Yorkshire with three luxurious bedrooms. Take your pick from the beamed 'Store Room', the vintage 'Kiln Room' or 'The Workshop', a massive space running the length of the building – which will your pooch like the best? Go glamping in Wales at Treberfedd Farm and take your beloved pet with you. Set in a lovely hilltop location just a short drive from the beaches of Cardigan Bay, a unique octagonal eco-cabin called Saffir awaits you – a luxurious glamping experience indeed. You'll find 22-room Talland Bay Hotel in a truly spectacular location, tucked into an idyllic bay between Cornwall’s Looe and Polperro. Pick up the South West Coast path and take a stroll with your faithful friend, then back the hotel for dinner in the sea-view brasserie (dogs are welcomed there too). Suffolk's Crossways may not allow cats and dogs (free-range livestock and wildlife put paid to that), but it does allow small indoor pets. Bring your guinea pig, rabbit or hamster and they can board for the night in the 'animal zone' whilst you bunker down in the exclusive-use B&B wing. 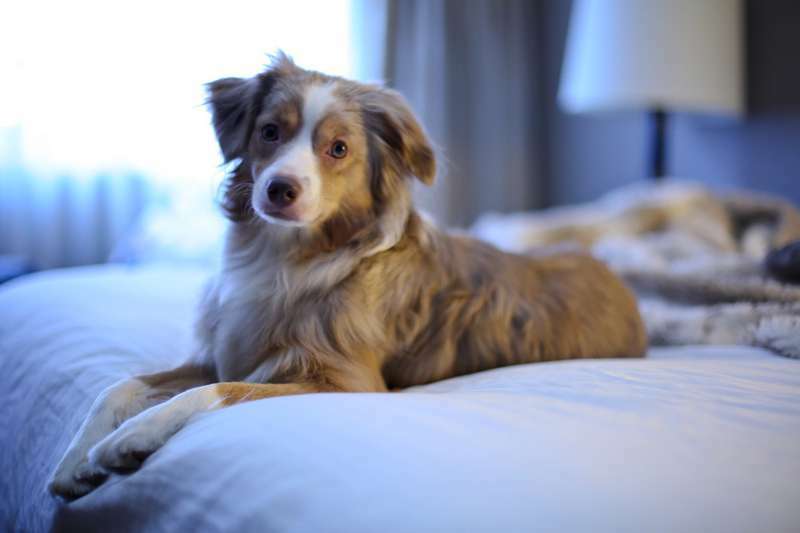 Pets and adults will both enjoy five-star treatment! The Slate Shed is a special B&B set in magnificent Snowdonia Park. Once a Victorian slate-cutting mill, each of the five contemporary rooms are dog-friendly, with stunning views out to the Mawddach Estuary. There’s walking galore, 45 acres of wild woodland and meadows to explore – furry friends will be in their element. They might even make a couple of new friends, as owner Sarah has a lovely terrier called Gracie and an excitable lurcher by the name of Bryn. Check out their other offerings if you fancy glamping or self-catering. Head to Scotland's 3,500-acre Ardnish peninsula and you'll find Laggan, a cosy off-grid three-bedroom cottage that's truly the definition of a rural retreat. It's a remote place: accessible only by boat, but very much worth the journey. Take your dog and amble along the fabulous coastline, the area's a walker's dream. Your four-legged companion will love the Horn of Plenty’s 5 acres of gardens, not to mention the complimentary 'doggie dinner' on their first night. There’s plenty for pet owners to love about this Devon boutique hotel too – impeccable service, spacious rooms and top-notch food.